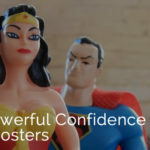 This article gives insight into an easy-to-learn life-skill that many disregard and overlook simply because they don’t understand it, or don’t believe it, or simply because they are scared of it. Hypnosis is just an effective form of communication. Communication with the most powerful part of your body. 5 reasons why EVERY manager, employer and business owner should encourage their own staff to learn Hypnosis. 1) You are in business to become Successful – Success is 80% Psychology and 20% Skill. Having worked in a number of large corporate organisations, I know that very few have induction training programs or on-going training programs that help employee’s with their Mindset. Sure your trainers cover off the Sales Process, and Workflows, and Procedures, but how many cover how to get into the a Positive Mindset? How many trainers spend time giving employees tools and strategies to use in dealing with both Work and Home stress. So your training Department has the 20% covered. Who is looking after the 80%? Now this probably isn’t useful to you if you have those new types of employees that are never affected by pressures at home and who never doubt themselves or other people. Hypnosis (& Self-Hypnosis) can be learnt in 2.5 days, and empowers every employee to handle challenges that they face both in their professional and personal lives. In business we need to communicate with our customers, with our clients, with our managers, with our colleagues and with our Board of Directors. Our ability to convey a message to someone relies on our ability to effectively deliver this information in a way to ensure it is correctly received. By learning Hypnosis, your staff members will learn the intricacies of how to communicate in both a hypnotic and highly effective manner, understanding the power of Language at a very deep level. Imagine the harmony you’ll witness as your staff members speak clearly and purposefully with each other after being trained in Hypnosis. Everyone is in sales, it’s just that some of us don’t ask for a monetary transaction. Customer Service call centre staff are even in sales. When they speak to a customer with a concern, they are selling the customer on the idea that their query has been resolved before hanging up the phone. When both Sales staff and Customer Service staff are trained in Hypnosis, not only can they transform their own Psychology to that of having ROCKSTAR confidence, but they will also be able to communicate to the customer’s unconscious mind, helping them to see value in what is being discussed. 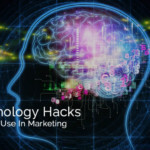 Learning Hypnosis equals Increase in Sales. 4) Reduce Absenteeism – Remove Stress! So why not remove stress completely? Giving your Staff an opportunity to learn Hypnosis, will give them the tools they need to remove stress completely from their lives and therefore increase their attendance and productivity at work. How much is Absenteeism costing your business? Most people know that Hypnosis is considered the most effective technique in addressing anxiety, smoking, insomnia and long term pain in the body. 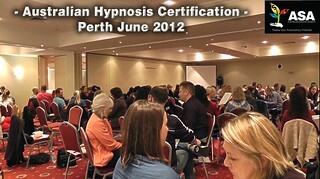 It was referenced by the World Health Organization, in June 2005: “Randomized controlled trials have provided good evidence that both hypnosis and relaxation techniques can reduce anxiety, and prevent panic disorders and insomnia” – 1999 British Medical Journal. Imagine a work environment whereby not only have your staff’s attitude to work greatly improved, they have also become more empowered individuals, overcoming obstacles in their personal lives also. How much of a productivity boost will you get when half of your smoking workforce decide to become non-smokers for the rest of their life? 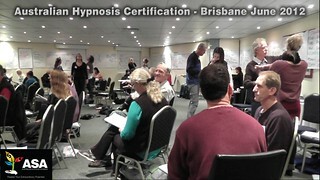 The aforementioned benefits of teaching your staff Hypnosis are just the tip of the ice-berg. In the world today whereby competition in the marketplace is fierce, businesses need to look to embrace new strategies to give them the edge over their competitors, so start with giving your people the edge in life, and watch as it flows through into their output and interactions at work.